5 miles from beautiful Yarmouth harbour, 6 miles from central Newport and 9 miles from the renowned yachting hub of Cowes, Stable Cottage is located off the main road in rolling farmland, with distant sea views. Set in the grounds of Elm Place, Stable Cottage offers double and twin bedrooms, both ensuite, an open plan lounge and kitchen/ diner. Finished to a high standard, whilst retaining a warm, homely feel, the cottage is the perfect get away for up to 4 people. Enjoy a barbeque on the patio during the summer or snuggle up around the log burner in the winter, the Isle of Wight is the perfect destination at any time of the year and the cottage is the perfect base for exploring. Local attractions include The Needles, Blackgang Chine, Ventnor's Botanical Gardens, Osbourne House and Carisbrooke Castle to name but a few. Discover the Island's dinosaur heritage, visit one of many wildlife centres, enjoy a festival, or try a new water sport at one of many beaches. For more info on things to see and do visit: www.visitisleofwight.co.uk/things-to-do. The photos do not do the cottage justice in terms of size. The photos make it look smaller. We arrived to a warm welcome from Sally. The cottage is set in a quiet and peaceful location. It was pristinely clean and we had all we needed for a comfortable stay. Would recommend and would stay again. Stable Cottage is a wonderful place to stay and is just perfect for families . It’s our 2nd Christmas staying at Stable cottage, It’s a fantastic place to stay , There is everything you could possibly need for a family on holiday. The place has a warm and cosy feeling and plenty of room. Always happy to stay here and would recommend to all . Tastefully furnished and decorated barn conversion. Well equipped and comfortable. Very comfortable stay. Furniture downstairs was good quality and sturdy. Plenty of room and storage for walking gear. Kitchen was very nice, good quality fittings, well thought out and well equipped. Cottage was lovely and warm, heating worked very well. Master bedroom was spacious and bright with fantastic en-suite shower room. Just about enough cupboard storage for clothing. Twin bedroom ideal for children, we were two couples and the other couple found beds a bit flimsy. Also great to have en-suite for twin room too but a shower over the bath would have been a useful addition. Lovely peaceful location, would definitely stay again if coming this way. 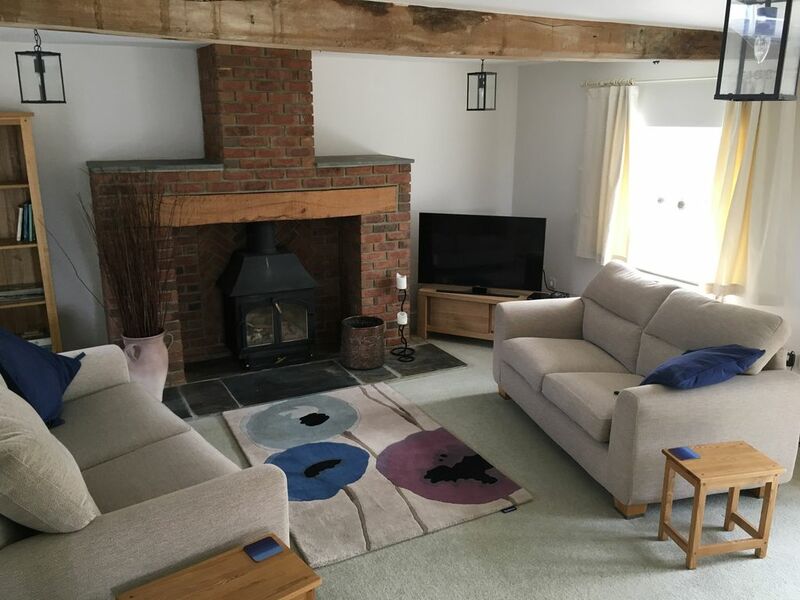 Such a lovely cosy cottage with beautiful surroundings and perfectly located to call base camp. We loved our weeks stay at Elm Place. It was beautifully decorated and fully equipped with mod cons, kitchen had everything, beds were memory foam, powerful showers, and overall very clean. Sally the property manager was very friendly and approachable, she bent over backwards to make our stay perfect, even got my washing in on a raining day. My son still misses her lovely dog and we have been back a week.